Gallery 38 will be presenting some of the most dynamic up and coming artists alongside Swoon + t.RUTT + Dan Witz. Artists include Pascó, Odlaw, Jimmy Pierce, Donkeeboy, SEY x YE$, Misha T + Chris Soria, Ben Mori, AfroPuff, Laura Ava, Nathan Purcell, Mobarick Abdullah III, Quiana Parks, Noah Smalls, Alloyius Mcilwaine, Avtomat Kakashnikova, & Gabe Tiberino. Conception Art Fair, the leading fair for contemporary art, will open its doors in the heart of Miami’s Art & Design District this coming December during the most anticipated date on the Global Contemporary Arts Calendar, Art Week, Miami. Over 75,000 visitors are expected to attend Art Week with an estimated 50,000 visitors flying into Miami International. Named by LA Weekly as “The Center of the burgeoning West Adams Art Scene” in Los Angeles, Gallery 38 is an ongoing project by ArtAboveReality and Bancs Media that brings together visually thematic exhibits that feature some of the most visible and sought after artists in Los Angeles and around the world. Gallery 38 has extended its mission of providing opportunity for emerging artists, and this year, we are excited to feature some of the most exciting new creatives at the Conception Art Fair. These unique artists differ in medium and composition, but are brought together by their unifying element of mixing mediums, street art aesthetics and thought provoking imagery. 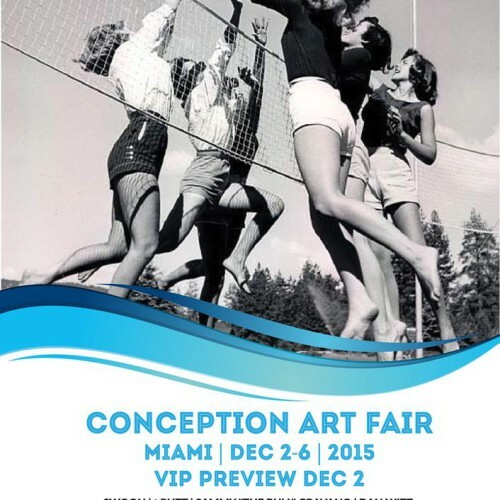 Conception Art Fair is the only fair owned and produced by women. Conception Art Fair pays special attention to artwork and projects by women and other minority artists. Conception Art Fair is a dynamic, alternative presentation of contemporary art, featuring pioneering artists, collectives and galleries. With a strong focus on the emerging art market, CONCEPTION ART FAIR offers collectors the unique opportunity to purchase from cutting edge artists at the tipping point of their career. Recognized by the Wall St. Journal, Paper Magazine and Artillery magazine, Conception is really making an impact on the art scene.